I titled this sermon facing the apocalypse for more than one reason. In the first place, it is due to the fact that in our society today, there is an almost universal misunderstanding of the word itself. When we think of post-apocalyptic movies for instance like the Mad Max franchise or if you’re a Walking Dead fan – with the “Zombie Apocalypse”, we think of the “apocalypse” as the final or ultimate disaster. The ruination of all things and perhaps some few, brave and odd souls seeking to carve out a new life in the face of nuclear disaster, or an asteroid collision with earth, or some devastating plague nearly wiping out all mankind. 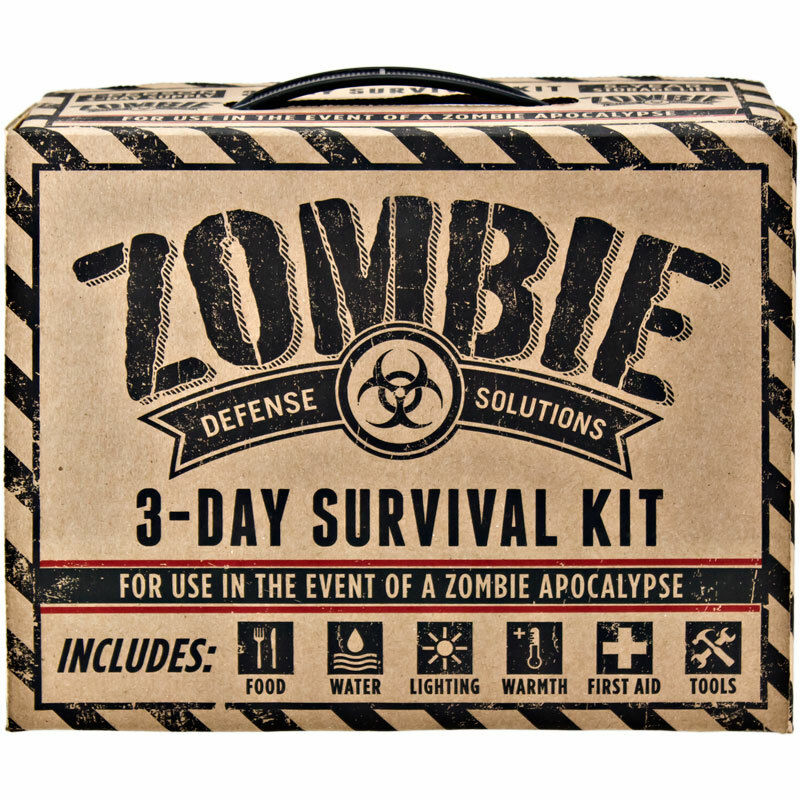 [[IMAGE]] There is big business in that right now- like this kit, available from Amazon among 100’s of others: Zombie Apocalypse Survival Kit – $39.99. [[IMAGE]] But that is not how the Bible uses the word – nor what it means in its first sense at all. [[IMAGE]] Romans 8:19 For the creation waits with eager longing for the revealing of the sons of God. Now there is a sense in which the full revelation of God’s final purposes for this present age also ends in judgment, and the creating of a new heaven and a new earth – but the emphasis isn’t upon destruction, but rather upon the glory of the Lord being revealed in all its strength; Christians being fully revealed in their final conformity to the image of Christ; and the final unveiling of God’s eternal plans and purposes. [[IMAGE]] 1 Pet. 2:9 But part of this final revelation begins now. It begins in the deepening contrast between God’s reality, and the darkness of this present age. This is what Peter is after in is opening statement: “the end of all things is at hand”. It is not that the end of the world was about to take place, but rather we have entered into the “end times” – which culminate in the final and complete UNVEILING – REVELATION – APOCALYPSE of the glory of God in Jesus Christ. And all Believers are a part of that now! As a jeweler presents his finest diamonds against the darkest, light absorbing background of velvet – he or she does so, so that the beauty and true qualities of the diamond are seen in its clearest relief. This is the way Peter is writing to His brothers and sisters in Christ in their very difficult circumstances. He writes to them to remind them of what God is doing in them, around them – and especially – THROUGH THEM. The world is getting blacker and blacker & its sinfulness. Fallenness & godlessness get increasingly REVEALED when plopped down right in the middle of this darkness, are the Jewels of Christ Jesus – His People. And in the presence of His people in this darkness – His glory is revealed. Part of the unveiling of God’s glory is how His people live in the face of opposition, persecution and marginalization. Peter’s 1st audience is living in the midst of these conditions – and we as Peter’s 2nd audience are beginning to see this advance more and more in our own culture. [[IMAGE]] “The end of all things is at hand” Peter writes in the 1st part of vs. 7 – “THEREFORE”. Therefore, this is what we do about it. In vss. 7-11 Peter sets forth the strategy Christians are to adopt in the face of the coming APOCALYPSE. And it may be a lot different than one would imagine. There is nothing here about storing up foodstuffs, converting cash into precious metals, withdrawing from the stock market, building a shelter or joining movements. All of which may or may not have some validity given certain external pressures. Peter’s 1st concern, which ought also to be OUR 1st concern, is seeing that these Holy Spirit breathed-out words for our instruction are to be the focus for Christians as we face such uncertain and troubled times – which have to do with our spiritual state and the continuation of the Church. [[IMAGE]] “What’s in your wallet? Is the question of credit card marketers. [[IMAGE]] “What’s in your safe?” Is the question of those in the business of making their money by selling you precious metals. [[IMAGE]] “What’s in your heart and mind?” Is the question The Holy Spirit poses to bring us into God’s reality in facing this present age. To the 2nd, Peter attaches a number of ways that works out in practical terms. We’ll concentrate on the 1st instruction today. The word used here refers to the mind – even as the second one does. This with “sober-minded” may be a hendiadys – two words meaning the same thing for emphasis – but I think there is enough of a contrast to see them as related, but different. Self-controlled in this use means – to have control over our own thoughts. To be in possession of our selves – and especially our thought lives. To be a people, as God’s people, whose thought process is informed more by God’s Word than mere external influences. We are not immune to what the world around us says and how it reports what is going on. But the Spirit-filled Believer, filters these things THROUGH the Word of God – understanding His plans and purposes, and not simply reacting to the data the world throws at us. News agencies do not get viewership and thus advertisers, unless they continually shock, stir up, titillate, provoke and agitate their audience. They do not make money unless they upset you enough to keep tuning in. This is true of blogs and internet sites too – who earn money based on how many clicks their sites get, exposing surfers to the advertisements for products and services that appear on their pages. And if there is no “hook”, nothing to keep you nervous enough or interested enough to keep you coming back – they are out of business. The Christian needs to be careful here and to process all of this through a filter – to keep from being dragged around by a reactive brain by everything they throw at us. Drinking the water will kill you. Breathing the air will kill you. Your deodorant will kill you. Your toothpaste will kill you. Any of these and a million more, on any given day are either the key to ultimate health and happiness, or absolute horrid destruction. And Peter says – by the Spirit – STOP! Control your thoughts. Don’t allow yourself to get sucked in and live in perpetual fear and agitation. Learn the holy skill of directing your own thoughts. If you find your own thought life obsessed with fears and doubts and considerations that will not let you go – you need to re-direct your thoughts by refusing to think on those distractions, and to focus upon that which is taught in God’s Word. True: I cannot always discern what is true in the news, but I know what the Bible says is true. Honorable: There is precious little that is honorable in politics today – but the Word of God depicts the honor deserving glory of God in Christ Jesus. Just: Injustice seems to rule the world around us – but God is just and will bring absolute justice in Christ’s return. Pure: Everything in the world is tainted by sin – but considering the purity and sinlessness of Christ will lead your thoughts to better places. Lovely: The world specializes in what is twisted, ugly and out of place, while the Bible brings you back over and over again to contemplate the loveliness of the beauty of God and holiness and uprightness. Commendable: The news focuses our minds upon crime and the brokenness of humankind, while the Bible bids us to ponder what is noble and sweet and good. THINK ON THESE THINGS. Give your heart and mind time to consider them and to delight in them more and more. The use of this word is as the opposite of being drunk. To be under the influence of things which rob your thought process of thinking clearly, cogently, and without distortion. [[IMAGE]] Again, Peter’s concern here is in line with Paul’s: Ephesians 5:18–21 And do not get drunk with wine, for that is debauchery, but be filled with the Spirit, 19 addressing one another in psalms and hymns and spiritual songs, singing and making melody to the Lord with your heart, 20 giving thanks always and for everything to God the Father in the name of our Lord Jesus Christ, 21 submitting to one another out of reverence for Christ. Drunkenness dulls and distorts the senses – whereas the Spirit of Christ sharpens them. Drunkenness destroys proper inhibitions, where the Spirit of God promotes self-control. Drunkenness distorts reality – Being filled with the Spirit brings you into reality as God knows it! REAL reality. Be about the business of constantly being filled with God’s Spirit – being under His influence and control. Make your interactions with one another occasions for rehearsing God’s goodness and grace and mercy – sparking Psalms and hymns and spiritual songs among you. Bring your mind to think carefully on God’s goodness to you so that thankfulness overflows, and not worry, fretfulness, resentment and fear. And don’t worry about not having power over life or others. Come to the place where you can joyfully submit to authorities, because personal power means nothing when you are loved and cared for by the One who is Lord over all. Be sober-minded. Clear. With a thought process that is not overly influenced by the news of the world, as though that is the whole truth. There are roughly 112 waking hours during each week. One cannot hope to have self-controlled and sober thoughts if only a few of these hours a week are given to the consideration of Biblical and Spiritual things. [[IMAGE]] c. For the sake of your prayers. This is a most interesting connection – isn’t it? If we are not self-controlled and sober-minded, everything else will take precedence over prayer. We will let everything else take our time, and little or none will find us before God’s throne – on behalf of one another. On behalf of the Church as God’s people and as His program in the Church. We will not pray according to God’s plans, purposes and agendas, but only according to our own wants and desires. All self-absorbed. Prayer will be born of panic and ill conceived, not expressed by faith and thankfulness. Prayer will not be a refuge for strength and encouragement, but a heavy duty and disagreeable. Prayer may cease to be realistic, and in thinking to bind God to promises He never made, end up undermining our own faith. It will become frustrating. Prayer may become little more than a meaningless ritual. Prayer will be aimed more at changing adverse and difficult circumstances, than seeking God to use those circumstances to bring about true spiritual change, in myself and others. Prayer will cease to be a place if intimate fellowship with God the Father. 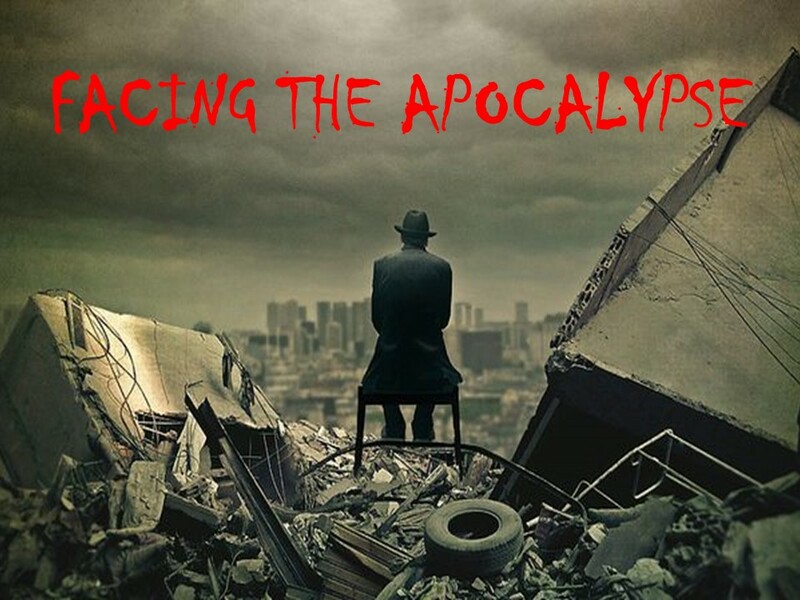 How do Christians face the apocalypse? [[IMAGE]] And Constant in Prayer in confidence and trust in the One to Whom we pray, and have access by the grace of God as Christ opened the way for us.